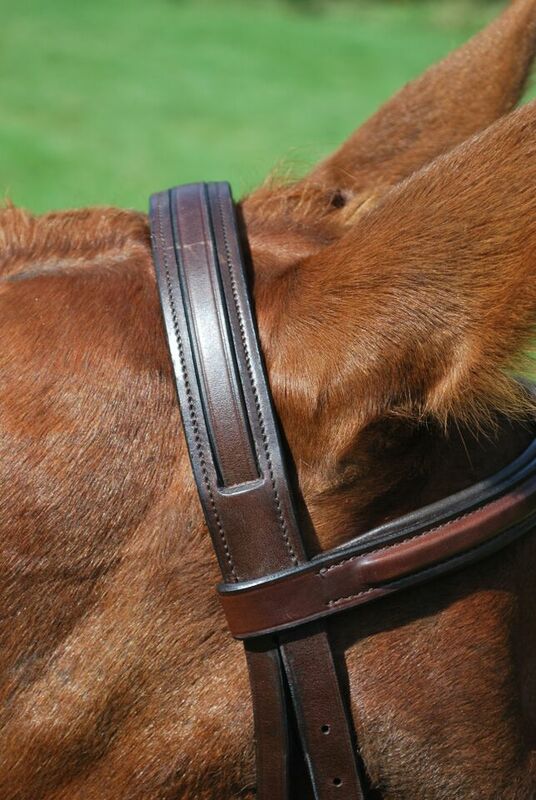 The Venezia Bridle is one of three Hunter bridles in our KL Italia collection, made of the best Italian leather. The Venezia features a 1” padded round raised, fancy stitched noseband, a matching 3/4″ browband, and 1/2″ cheeks. Comes complete with 5/8″ fancy stitched round raised Laced Reins. 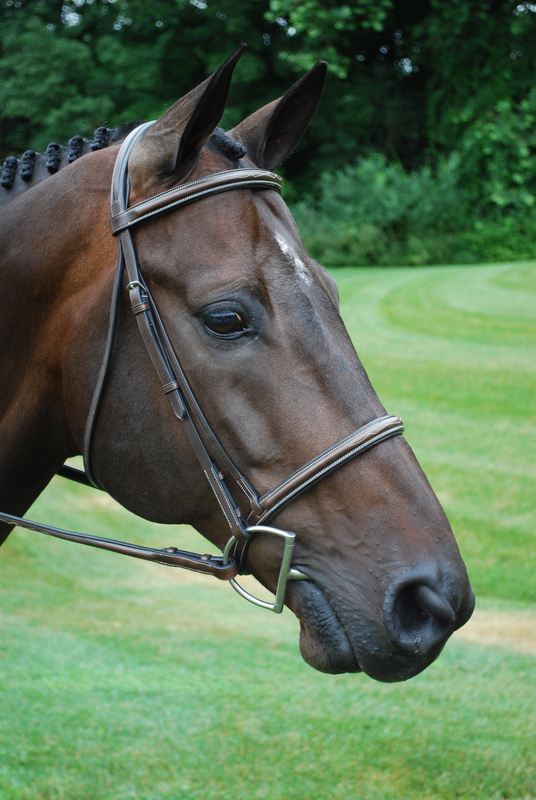 This bridle features our soft padded, threaded headstall. This system allows you to have the ultimate comfort for your horse’s poll – while using a standard noseband. All hardware is stainless steel, with hook stud ends, and a roller buckle on the noseband. This bridle is made in premium Italian leather.